Digital Editions | Click Here. 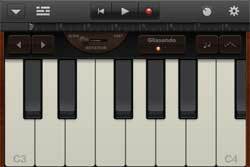 The word from Ars Technica that Apple plans to release a “GarageBand for Textbooks” tool has, understandably, begun to produce something of a buzz. Apple is slated to announce the fruits of its labor on improving the use of technology in education at its special media event on Thursday, January 19. While speculation has so far centered on digital textbooks, sources close to the matter have confirmed to Ars that Apple will announce tools to help create interactive e-books—the “GarageBand for e-books,” so to speak—and expand its current platform to distribute them to iPhone and iPad users. Apparently many K-12 schools have vast stores of under-used iPads available for classroom use . . . or so some are saying. Perhaps some do, but I would imagine that a great many do not, especially among those schools that service economically-disadvantaged neighbourhoods. Will a move to iPad educational applications widen the gap in an already two-tiered educational system? And then, of course, there is another issue: do we really want Apple cornering the market on digital content for teaching? I sure don’t. But I am particularly intrigued by the analogy being employed for this putative new textbook-creation tool: “GarageBand for Textbooks.” While I do know musicians who have employed GarageBand as a serious composition and/or recording tool, it is, of course, really a game. It’s powerful, easy to use, and, most importantly, oodles of fun. How well will the analogy hold? Will the new textbook creation tool be oodles of fun too? Cards on the table. I am interested in digital textuality and eTexts for all sorts of reasons — pedagogical, ideological, and academic. But one of the salient reasons that I produce eTexts is that it is fun to do so. Creating a beautiful and usable interface, playing with code, and, finally, seeing one’s productions come to life on the screen — well, it’s simply a whole lot more enjoyable that producing a manuscript on Word, isn’t it? Building digital resources permits me to employ both my scholarly skills, and my creative bent. Are footnotes in the key of C, or G? One of the things that a textbook creation tool may do, I think, is make that same “fun” available to a much broader audience than is currently the case. And that is a very good thing, because it will empower that enormous pool of talented and brilliant scholars out there who are currently locked out of the digital world because they don’t have the necessary technical skills to engage with it. It means that all of those brilliant pedagogues, writers, editors, and thinkers who haven’t had the time or inclination to learn coding will now be able to make their presence felt in our world, the world of digital learning and knowledge. And, if it is fun as well as easy to do so . . . many of them will do just that. Interestingly, I have been giving much thought of late to precisely this problem: how can we make it easier for those lacking technical skills to engage in what we in the digital humanities are already doing? I confess, the idea that we might make it “fun” to do so had not occurred to me . . . until now. I’m not sure that I would characterize this potential phenomenon as a “democratization” of digital humanities, but I do know that one of the things that has most troubled me about our field (or whatever you want to call it) is that it has been, by its very nature, “exclusive.” Listening to an absolutely wonderful talk by Tim Sherratt the other day, as he spoke about the ease with which one can script extensions to more effectively data mine online archives and resources, I found myself a mite troubled by the suggestion that producing these kinds of tools was “easy.” For those in the room listening to the paper, yes, this was probably the case. But then this was, for the most part, a self-selecting audience of digital humanists who are already likely to possess such basic skills. What of those who don’t? Does the free availability of such tools online fully address the degree to which certain skill sets have produced a “digital elite”? Of course, the “exclusivity” of the digital humanities cuts both ways: it is undoubtedly one of the reasons why there has been so much resistance to digital scholarship in mainstream academia, and why, despite some assistance from the MLA in providing tools for evaluation, it is still so difficult and perilous to attempt to build a scholarly reputation in the humanities via this route. Could it be that the gamification of building eTextbooks will have the effect of making the digital humanities more “understandable” to non-techie academics, and so also more “acceptable”? Well, this would also be a good thing, would it not? Such digital texts would let students interact with information in visual ways, such as 3D models, graphs, and videos. They would also allow students to create links to additional texts, audio, and other supporting materials. Furthermore, students could share those connections with classmates and colleagues. Here, we are of course in more familiar territory: the use of game-like features to enhance pedagogy. This vision of interactive, interconnected digital textbooks really represents a turn to the social media model of learning: interconnectivity, direct participation, and “remix” are all part of this imagined future for the classroom. Will making textbooks “fun” for students in this way increase their engagement with them? Is such a goal viable now, and worth the price of handing the keys to the textbook cupboard over to Apple? 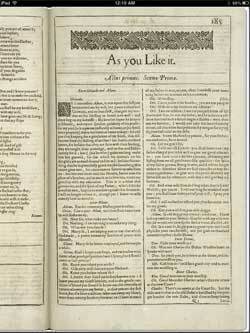 The British Library, William Shakespeare’s ‘The First Folio’ for iPad. I have always been resistant to the allure of Apple, although I have long owned an iPod: while I will readily concede the excellence of Apple products, their corporate philosophy and insistence upon a closed-source control over very nearly every aspect of everything they produce has always seemed to me a bit . . . well, fascist. However, the point of getting an iPad in the first place was to get a sense of the way in which digital texts were being translated for tablet computers, and, for better or worse, most of these are being produced for the iPad (although more and more appear to be available for Android as well). When I first began to explore digital textuality some 8 or 9 years ago, the “place” where electronic texts “happened” was, of course, on the desktop or laptop computer. 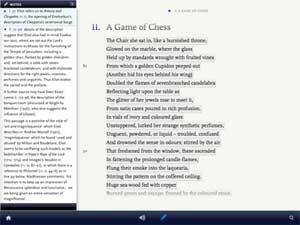 Increasingly however, and particularly with the advent of relatively cheap eReaders such the Kobo and Kindle providing access to tens of thousands of inexpensive (and sometimes even free) digital texts, digital textuality is moving on to the tablet or eReader. My interest in the books available on simple readers such as the Kindle is fairly limited right now, although I’m sure that this will change. These are relatively unsophisticated devices after all, and their potential is limited by the simplicity of their platforms. Also, they are not nearly as pretty or fun as tablets, and you can’t play Angry Birds on them. 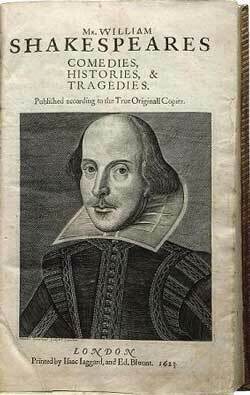 The title page of the first folio of Shakespeare's plays. The potential offered by the graphics and scripting capabilities of the true tablet computer such as the iPad, on the other hand, means however that texts made available for these platforms can provide full and deeply engaging multimedia experiences. And so, almost the first two apps I downloaded on to my shiny new iPad – just after “Angry Birds,” of course – were a Shakespeare app from the British Library, and another devoted to T.S. 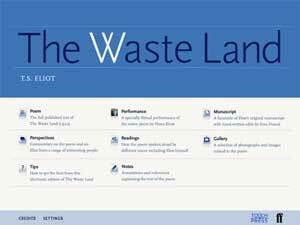 Eliot’s The Wasteland. Early Modern book geek that I am, I was particularly excited by the Shakespeare app, which promises “an exact facsimile reproduction of the large and handsome book known simply as the ‘First Folio,’” and notes that consulting early printed versions of these plays “is an essential part of a more complete understanding of Shakespeare’s work.” Well, yeah. Duh. Ok, fair enough. Unfortunately, however, the British Library’s “Shakespeare’s ‘First Folio’” on iBooks turns out to be something of a disappointment. The application does indeed provide no fewer than 905 photo facsimiles of one of the BL’s copies of the First Folio: these are very nicely rendered in full colour, and can be displayed to show one page opening, or a single page per screen. A zoom feature also permits a somewhat closer view of the text, although the image deteriorates in quality fairly rapidly if one attempts to zoom in too closely. Sadly, however, this is pretty much all the BL app offers. The briefest one page introduction to the history of the First Folio (given without any citations or references), and an even shorter list of the credits for the short audio excerpts included in the app represent almost the only addition to the facsimile images. A screen capture from the BL's "Shakespeare's 'First Folio'"
Now, if one enjoys, as I do, reading early modern texts in their original printed format, the app clearly has something to offer. For the general reader or the scholar, however, this digital edition comes up decidedly short. There is no metadata and no scholarly apparatus of any sort; the BL doesn’t even tell us which copy of the First Folio it has reproduced. We are told nothing about the provenance, location, identity, or material conditions – not even the page dimensions – of the book we are viewing. And, while it clearly would be expecting too much for this edition to include commentary, annotations, or extensive textual notes, a simple introduction to each of the plays should surely have been possible. This is not unexplored terrain: a few things have been written about this guy’s plays, and one would have thought that it would not have been terribly difficult or expensive to add a few words about them. The pages can be accessed by flipping through the book one page at a time (using the somewhat annoying “page flipping” animation that has now become almost standard for this kind of eText), and there is a table of contents that provides either a list of the plays and pages, or nearly useless page thumbnails from which to choose. A search feature (which is I think standard with iBooks) will search the two “introductory” pages at the beginning – all two or three hundred words of them – but can’t access the play texts themselves, and otherwise includes only buttons to “Search Web” and (*gag*) “Search Wikipedia.” Other than these features, the only additional “shiny” offered us is about a dozen short audio clips from the plays, performed with Early Modern pronunciation. Cool, but not really sufficiently interesting or informative to add a great deal of value to the edition. I’m a little mystified as to what the British Library thinks it is offering here. The page images are very pretty, and reasonably clear, but they aren’t really detailed enough, at a screen resolution of only 768px X 1024px, to be of much use to the scholar, and the lack of even a minimal textual apparatus and metadata more or less rules out any scholarly utility anyway. 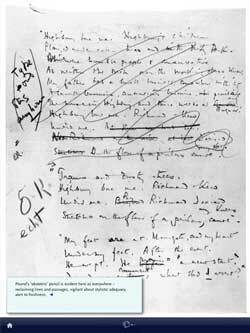 As for the general reader, the complete lack of annotation, explanation, context, or indeed virtually any information about what is appearing on the screen must surely render this resource a much less useful and interesting gateway to Shakespeare’s plays than might otherwise have been the case. How many people really want to read Timon of Athens straight through in a facsimile of an original printing, without the aid of any context, commentary, or even cheap thrills? A few might, I suppose, but I don’t know of any, nor do I number myself among them. Perhaps it’s a bit churlish to complain about this app. Although it is relatively expensive compared to all other book apps that I’ve seen, it is still pretty cheap, coming in at about $26.00 (Canadian). I’d happily pay that for a print photo facsimile edition, with or without apparatus. But it is a little off-putting that the BL seems to have put such little effort into the creation of this app. The page images they must surely have already had, and as interesting as the brief audio clips are, they don’t really add a great deal to the package. Would it have been too much to ask for a little more in the way of information from them about the book that they are so reverently offering up to the public? One frankly expects more from the BL than what seems to be, at first glance, a hastily-assembled and poorly contextualized collection of page images. So, for the price, this was, I suppose a worthwhile investment. But only just. I’m not unhappy to have it, and I’m sure I’ll be able to make some use of it in the future, but if this represents the “future” of scholarly book apps (and fortunately I don’t think it does), then I am unimpressed. In the meantime, however, I am well equipped for the next time I feel a hankering to read Timon with long “s”s and wormholing.